Cincinnati Cruiser has taken long-boarding from a childhood fascination to a full-fledged business. Jeff Risinger got his first skateboard at age 5. Today, he runs a skateboard company with his wife. 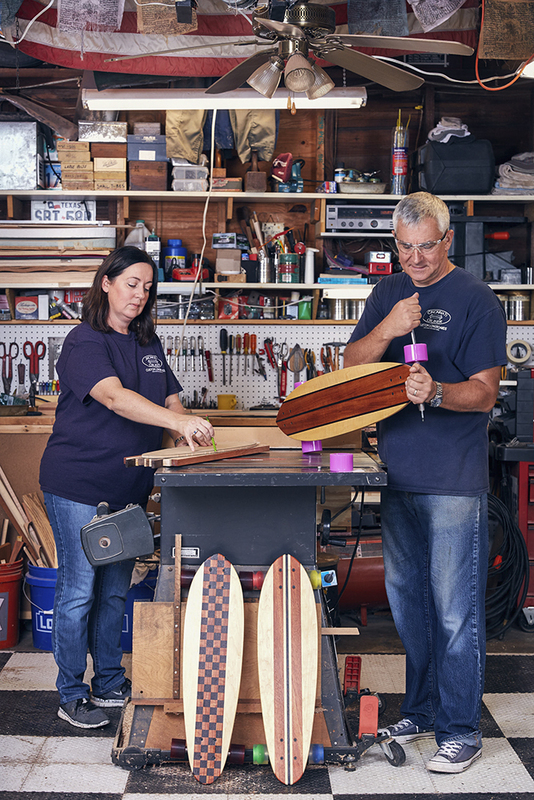 For a year, Risinger and Val Woodham have been building and selling custom-made longboards, but these weren’t the first boards Risinger has fabricated. “My dad was in the Navy, so we moved around,” he says. “In the Philippines, we lived on top of a hill, so I wanted a skateboard to get down.” The Navy base provided facilities for the children to use, one of which was a woodworking shop. 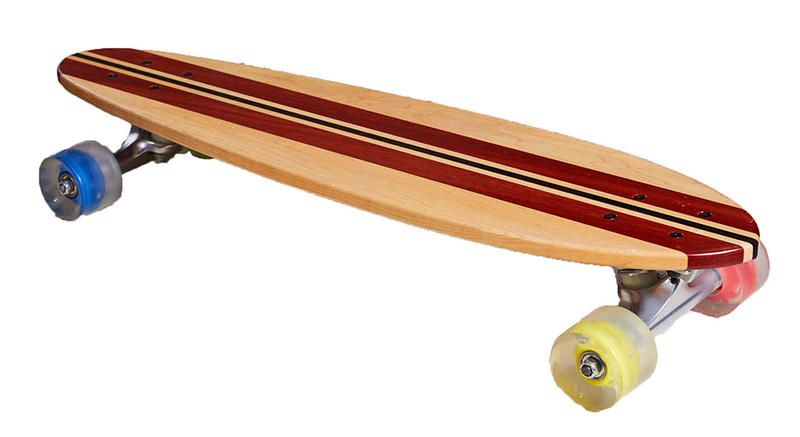 Risinger, his brother, and a friend dreamt up a longboard and built it themselves. After carving a piece of mahogany and attaching trucks and wheels, Risinger and his brother logged the first descent of that hill. 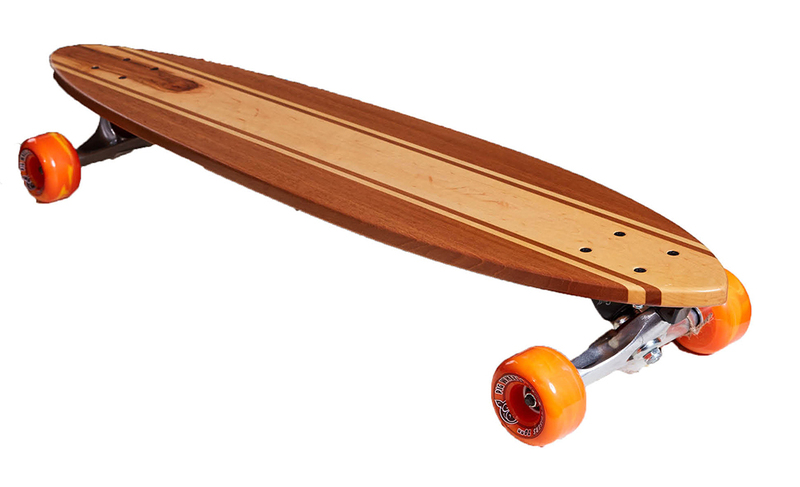 Fast forward 30 years, and Risinger decided to craft two longboards as Christmas presents for his daughters. “Neighbors started seeing them riding up and down our street and began asking for their own,” says Woodham. “One thing just kind of led to another.” The couple officially launched Cincinnati Cruiser in September 2015, after Woodham lost her job, and have since made more than 60 skateboards. 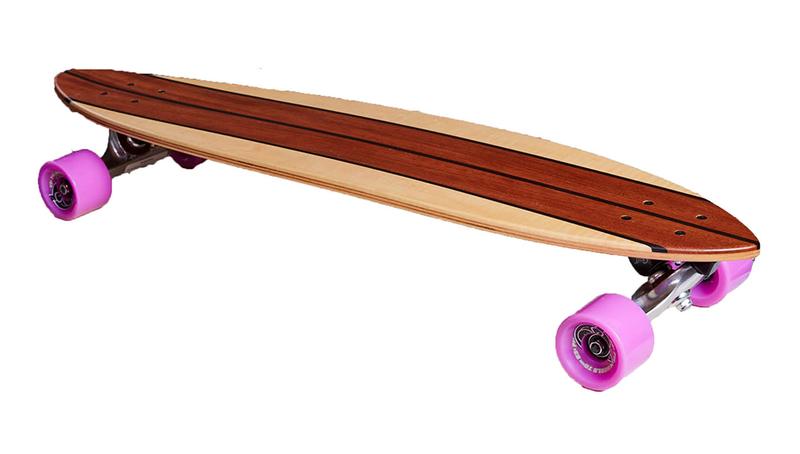 Risinger, who also works as a commercial pilot, hand-makes each board in his small workshop; he typically starts with maple, then accents it with exotic cuts like zebra wood and purple heart. He uses only raw materials—it takes four to five days of planing, sanding, and gluing to produce one board—and tries to accentuate blemishes in the wood to create one-­of­-a­-kind skateboards, like using zebra to wood make the top of a board resemble an arrow.